Help raise money for 6201 Princess Elizabeth steam locomotive by making a donation towards repairs. Sadly Princess Elizabeth’s 2016 rail tour programme had to be curtailed early due to issues arising with the small boiler tubes. In 2016 the 83 year old locomotive experienced other issues with some other parts which failed in service, meaning that some tours were prematurely cut short as well. The society relies on donations and income from completed rail tours to put into funding maintenance and overhauls, and with the delay in returning the locomotive to service after the last overhaul which started in 2013, its left a shortfall in our finances to complete these essential repairs. We initially chose the Princess Royal Class Locomotive Trust (PRCLT) at the West Shed, Butterley, in Derbyshire to carry out the required maintenance work. However, with their workshops busy with other high priority work for many months to come; in February 2018 the locomotive has now moved to Carnforth for repair instead. With your help, we can get 6201 Princess Elizabeth back into action on the mainline again soon. We have identified three items we need to raise funds for to get the work started. 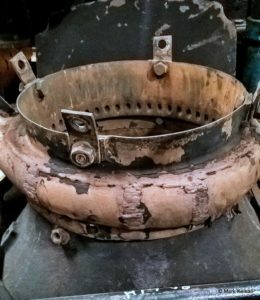 The first appeal is for the Small Boiler Tubes (£12,900) – and a huge thank you to everyone who has helped move this forward so quickly! The second combined appeal is for a new Blower Valve and Blower/Ejector Ring (£7100). If you would like to contribute to these appeals, please scroll down for more information. Donations over £50 are eligible for entry to win 2 fantastic prizes! See below for more details! Silver: Every person donating £50 or more will be put into a prize draw to win a limited edition Hornby R2215 Golden Jubilee Edition 18ct Gold ‘Princess Elizabeth’ OO Gauge Model. *Previous ‘Gold Prize’ amended Feb 2018, due to aforementioned locomotive move. The small tubes carry the hot gases from the firebox down the length of the boiler and into the smoke box. 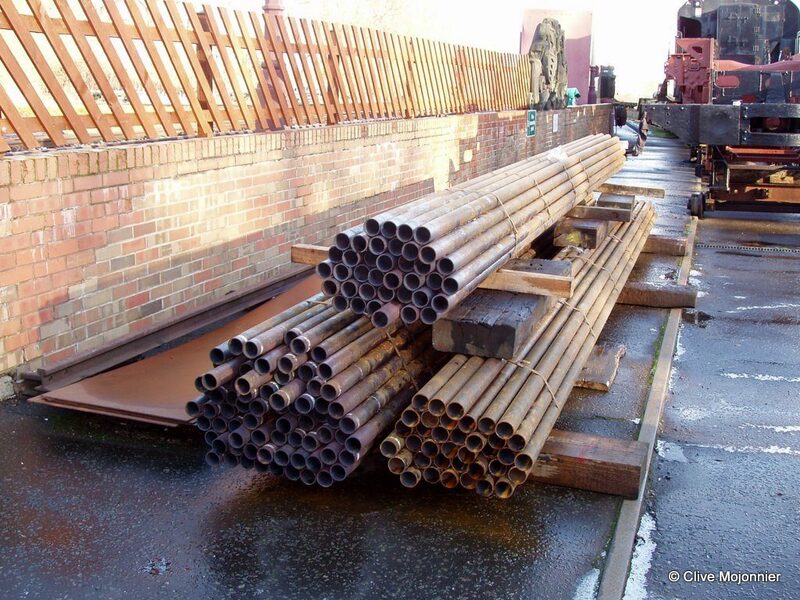 In total there are 123 small boiler tubes which all require replacing. Each tube is made of steel and is approximately 2 1/8" (5.4cm) diameter x 20ft (6.1m)in length. The blower valve is controlled from the cab, and it is mainly used when the locomotive is stationary to keep the fire burning when the regulator is closed, and to maintain boiler pressure. The ejector ring (pictured below), is located inside the smoke box. The current one is damaged, and with no off the shelf parts available; a new one needs to be cast, machined and fitted.